Two things I adore are Taylor Swift and books. I’ll be using some of my favorite Taylor Swift songs (which there are a lot of XD) and then connecting them each to a prompt and book! That explanation sounded very confusing. But basically it’s just like a normal book tag would be? I decided to call it Wonderstruck because that it’s a word I associate with Taylor Swift (she had a perfume named that) and it dates back to one of my favorite Taylor Swift eras, with the albums Speak Now and Fearless and it even reminds me a little of the 1989 vibes, which I LOVE. Oh, and as a quick disclaimer- I’ve never seen any other Taylor Swift book tags on the blogosphere, but I’m sure they exist. So if you have seen one and mine resembles it, it was not intentional! I just want this tag to be as relaxed as possible, and fun, because Taylor Swift + books should = a whole lot of good vibes. Let’s get started! You know, I don’t know why, but I feel the need to read books that rip my heart into thousands of tiny shreds. Does anyone else feel me?! I definitely have to say that one book that completely tore me apart was Salt to the Sea. It was a gorgeous book, absolutely stunning, but just so sad and the fact that it was historical fiction made it even more sad…because it was based on true events. 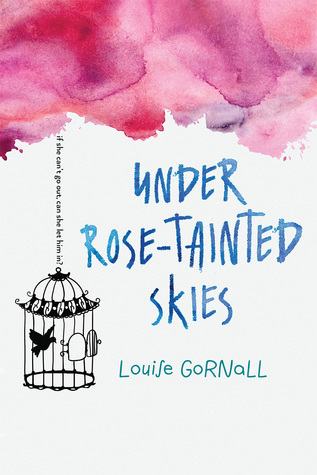 Now that I’ve scared you away…I’d really recommend it, such a beautiful book! Oh, I have to say We Were Liars. If you’ve read it, then you know how incredibly CRAZY that plot twist was?! I read it over the summer, and I’m still reeling from it, honestly. I remember sitting awake for hours after I finished it, not able to fall asleep because my mind was turning so fast. It’s insane how a book could make me feel that way, and even though I tried to forget what happened because it was so shocking, I still find myself thinking about it all the time. I feel like Love & Gelato would make the most perfect movie?! Hear me out. First of all, it’s set in Italy, so that is instantly perfect for movie shooting. It would have beautiful scenery, it has an adorable romance that would be so cute on screen, and it also would have more dramatic and genuine parts when the main character deals with her mother’s death and uncovers a mystery about her family. Ohh, let me just put all the YA contemporaries in the world in this category?! For real though, HOW AM I TO CHOOSE. I love how I created this tag and I can’t even answer my own question. I mean, there are too many good ones, but a few winners are Wanderlost, Summer of Salt, Under Rose-Tainted Skies, and Always Never Yours. This book is from a while ago, and while I wouldn’t say people hate it, I have heard people (mostly in real life) that didn’t like Everything, Everything. I haven’t seen the movie, but maybe the book was a letdown after it? Or maybe people didn’t enjoy the major plot twist? 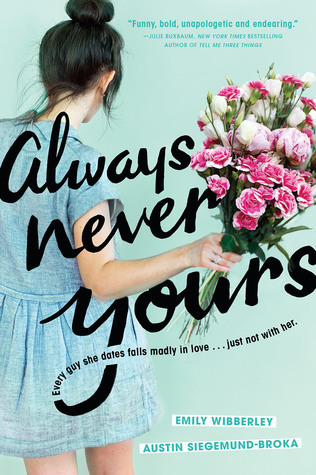 Either way, I know I liked this book, despite the slightly insta-love aspect. I still thought it was a solid read! Hi, hello, I’m Olivia and no matter how hard I try I can never not mention Harry Potter! And so, I will mention it for this one because, well, I think it’s an innate response by now. This gif is me, pretending I’m not obsessive and crazy for mentioning Harry Potter in every post I ever write…but anyway, Harry Potter gives me all the nostalgic vibes and always manages to transport me back to a happy place! Oh, recently I read My Lady Jane and I have absolutely only good things to say about it! I fell in love with it right away. It was hilarious, heartwarming, had the most gorgeous slow-burn, and it was such a cool concept: the retelling of a historical event, but with a fantasy twist. Even me, your local contemporary gal, enjoyed this fantasy and I would recommend it a thousand times over! I know a lot of people don’t enjoy classics, and I completely respect that opinion. But me…I’m kind of obsessed with them? Maybe it’s me and my love for old-fashioned things, or the carefree manner classics have about them, or just reading a book that I know people have read for generations…I just adore it. My absolute favorite is Anne of Green Gables. Taylor is me screaming after Anne Shirley! She’s bubbly, joyful, talkative, has the most fun adventures, and don’t even get me started on Gilbert, because I LOVE HIM. I also love Marilla and Matthew and Diana and wow, it’s just the cutest series ever?! I absolutely adored the romance in When Dimple Met Rishi! 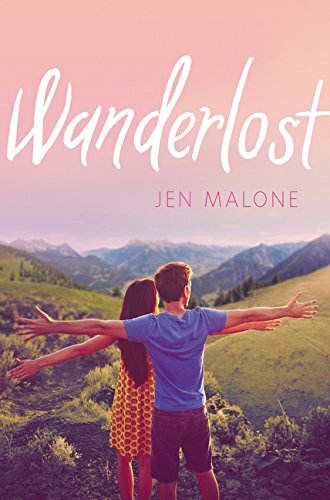 It was so cute, I loved how they slowly (well, kind of slowly, kind of quickly) fell into “like” with each other, and it was one of the few books I’ve read where I was 100% okay with the romance being most of the plot. I think what made it so appealing to me was that both Dimple and Rishi had different desires and plans for their lives, and just because they became romantically involved, they didn’t throw away what their beliefs and goals. For me, this is 1304983048% The Raven Cycle series. An accurate depiction of me walking toward the Raven Boys + Blue with open arms because I love them so much. As in, I would give SO much for them to be real?! And I just want to be friends with them?! And as soon as I read the first chapter, there was absolutely no turning back, I was completely hooked. Okay, maybe this doesn’t count as a sequel. But I really, really didn’t like Harry Potter and the Cursed Child. I’m sure the play is wonderful, but as a story and especially reading it as a script, it just didn’t click with me at all. While Harry Potter was magical and adorable, it just…wasn’t. I didn’t like how a lot of the characters ended up (Harry Potter WOULD BE AN AMAZING DAD, please don’t fight me on this, why did they make him NOT?!) and just, it read more like a fanfiction than a this-is-what-actually-happened, in my opinion. Wow, I tagged quite a few people.😅 I just wanted to try and help my tag reach more people, but if I tagged you PLEASE don’t feel required to do this in any way, shape, or form! I totally understand if you just don’t participate in tags, or maybe you just don’t like Taylor Swift?! (I tagged all bloggers I’ve talked about adoring Taylor with, but for many I didn’t know. And I completely respect anyone not liking/listening to her music.) Basically, please feel no need to participate, it’s in all good spirit! Are you going to participate in this tag? What are some of your answers, do you agree with any of mine? Favorite Taylor song? I’d love to chat with you all in the comments. Ooooh, I love Taylor Swift! I agree with a lot of your choices, but for Bad Blood, I would have chosen Eragon and Eldest. I loved Eragon, as it had great word-building ​and unique characters, but Eldest couldn’t keep my attention at all. It was so boring I ended it up not finished it. Great post, Olivia! I KNOW, it always hits me right in the feels. *tear* Same here, it makes me want to have childlike innocence forever! YES TAYLOR SWIFT ahah I remember our conversation, I love her so much. this reminds me I need to watch the concert she released on Netflix haha. Ahah I get 😂 I can’t waitttt. hope she sings my favorite song, all too well, I just adore it so much. How have I not noticed this trend?! If the book title has the word salt in it, then I’m destined to love it but also break apart inside. Sounds like something I can’t resist?! I really love this idea for a tag Olivia (I am a massive fan of Taylor Swift’s music so when I make it through some of the tags still in my queue I may have to take part in this one too) and I loved reading your answers for it too. We Were Liars is a book I’m still thinking about too, that ending had my mouth hanging open in shock, also oh my god I love The Raven Cycle. It’s one of my all-time favourite series, and yeah I wish they were real too. Blue and the Raven Boys are friendship goals for sure right? Thank you so, so much!❤️Ahh, I had no idea you were a Taylor fan but that is so amazing, I love finding fellow Swifities. If you are able to participate, I can’t wait to read your post! I KNOW, RIGHT. I want to reread We Were Liars but I don’t know if I’ve even stopped being in shock since the first time I read it?! And Raven Boys + Blue are 3948038% friendship goals, that’s for sure. Part of me wants to reread We Were Liars but I already know the ending so I’m worried about it not being as good the second time you know? I feel like the plot twist made me add an extra star onto my rating I may not have otherwise. I loved this so much! Taylor Swift is my favorite artist, so needless to say, I already loved this tag before I even read the questions, hahah. I’ll totally be answering this one! Also, the fact you named it Wonderstruck makes it even more meaningful. 1: because it also reminds me of Fearless/Speak Now era, which are by far my favorite Taylor Swift albums; 2: I just had war flashbacks from buying the Wonderstruck fragrance when it first came out, and I’m sad because I haven’t found it anywhere since I run out of it, and it was a delightful fragrance! I think it’s funny how Taylor got to be a part of my life in so many ways: not only as her songs being a soundtrack for many moments of my life, but also as her perfume being a smell to bring back a lot of memories. Ahh, the Wonderstruck perfume! Sadly I don’t think I ever bought it but I remember always stopping to smell it in the store. That’s so sweet that it holds memories for you! HAHA, I LOVE THAT. Now I have learned that “group of boarding school boys” can only mean good things. XD I don’t know what I’d do without the Raven Boys + Blue in my life?! OLIVIA THIS IS LIKE THE BEST TAG I HAVE EVER SEEN??? Taylor Swift is my FAVORITE oh my goodness. And you’re such a genius for coming up with this, I love love love it💕💞💕 thank you so much for tagging meeee! Ahh, BRIANNA, you have made my entire day!! Thank you so, so much.💘I actually didn’t know for certain if you were a fan when I tagged you but I’m so happy that you are! Oh, I can see myself thinking about We Were Liars for years, too! It was just so unexpected. I FEEL you with HP & The Cursed Child- I just wanted to cry because I know that Harry would be such a good dad and I refuse to believe that he wouldn’t?! This is such a cute tag, Olivia!! I’m not the biggest Taylor Swift fan out there but I might just do it because I LOVE the prompts and it’s such a unique, creative tag ❤ Harry Potter is definitely a nostalgic book for me, though I have to say Percy Jackson is an even bigger one since I read it before HP! 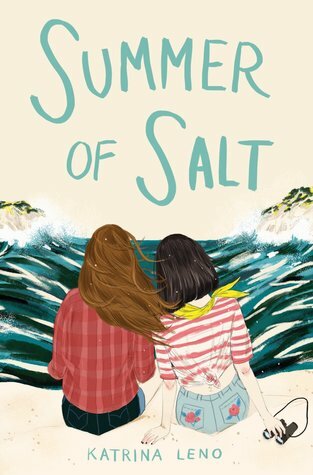 Summer of Salt has SUCH a gorgeous cover, and it's so soft and soothing! Great tag, Olivia, and thank you so much for tagging me!! Thank you so, so much May!💘That means so much to me, and of course feel no pressure whatsoever to participate. 🙂 Oh, I love Percy Jackson! I read it a little after I read HP, and I think it’s probably my second favorite series of all time (after Harry Potter, haha) and, wow, I just adore it so much. XD (PERCABETH.) Thank you again, this comment made me so happy! OH MY WORD, this is such a cool tag! I miggghhhht do this 😀 Btw, what font do you use and how do you design your sign offs? AH OLIVIA YOU MADE A TAG. I feel like that’s definitely an item on the unwritten book blogger bucket list. ;)) This is so much fun! Your prompt and song connections are so smart. And thank you for tagging me! Haha, I remember talking about that gif of Taylor Swift falling on the treadmill. Also, book update. I finished Darius the Great is Not Okay, and it made me cry in public which is always an experiene, and now I’m reading Famous in a Small Town by Emma Mills! What have you been reading? I DID. Haha, I think it was on my blogger bucket list, I’m glad I can cross it off now. 😉 Thank you so much! I’m glad you liked it. Oh yes, that gif of her is so funny and I always think of our comment conversation when I see it now. XD AHH, DARIUS. What part made you cry? I really want to read Famous in a Small Town, how is it going so far? Right now I’m in the middle of (another) Harry Potter reread, and I’m currently on the third book. I also want to read some of the new library books I got, so hopefully if I finish my homework I’ll be able to start one of them today. It was the part between Darius and his dad when Stephen tells him not to cry and Darius tells him he can’t help it and he’s sorry he can’t be normal like him and then his dad tells him he’s always been proud of it. I think parts like that between friends or parent/kid or siblings always make me cry. Oh, new library books!! So exciting. Did you get to start one? :)) I hope you did. I’m actually reading Death On the Nile by Agatha Christie even though I don’t read mystery. It’s because I saw it was getting made into a movie this year. I’m liking it though. I’m also almost done with Famous in a Small Town, but I took a break because I don’t have enough free book darts right now. Aww, I remember that part. His relationship with his dad was so emotional and interesting to read about, I’m glad it ended on a positive note! I did! I read Your Destination is On the Left, and it was really, really good. I would highly recommend. Ooh, Agatha Christie! I feel like she is kind of an author whose name I recognize just because of her fame, but I’ve never read any of her books. You’ll have to let me know how it is, and how Famous in a Small Town is! Ohh, I haven’t heard of Your Destination is On the Left before. Okay, adding that to my Bookish Santa right now. I finished Famous in a Small Town, and it was good- she focused a lot more on their friendships and them just riffing and having fun with each other. I didn’t think it was as good as Foolish Hearts though. :)) About Death On the Nile, I’m liking it. The only thing is that I’m having a little trouble keeping all the characters straight. I’m glad you liked it! I’m sad to hear it didn’t top Foolish Hearts but I think that would be pretty difficult to do. I know, I agree. I think it would be so fun to rank her books in the order of favorites once she gets to ten books or something! Ahem, where’s my tag?!?! LOL. But seriously, THIS IS SO AWESOME, WOW. You matched the prompts so perfectly with the songs! I love Taylor Swift, I don’t like her two latest albums unfortunately just because the kind of music isn’t my style, but I still love her and she gives a great performance. Would love to see her live one day! Thank you! Oh, I totally get that, she definitely took a whole new route with her last albums. Which of her old ones is your favorite? Hahaha, it’s okay, I’m only kidding. 😀 I will try and do this though, it seems like a lot of fun! I freaked out when I saw this last week! This is the best tag I’ve ever seen. I am 100% doing it, thank you so much for tagging me! I didn’t realize there were so many other Swifties in the blogosphere. I love the songs that you chose for these and the descriptions that match. Fearless and Speak Now are my favorite eras too. I didn’t like Harry Potter and the Cursed Child either, but I loved Everything, Everything. Aww, thank you so very much, Rose, that means SO much to me!💘I know right, there are so many Taylor fans?! I have known you were one for a while so of course I had to tag you. XD Yes, I also thought Everything, Everything was pretty good too. 😉 Thank you again for all your kind words! Ahh, May, I’m screaming with you!💘Thank you so so much, you’re too sweet to me, ahh. Yay! Yes, I think we need to petition for a Love & Gelato movie, it would be actual perfection. Aww, Anne is so good! I adore her, and also I of course adore Gilbert. (And MATTHEW, and Marilla, and…okay, I’ll stop naming all the characters, I love them all.) Thank you again, times a million! um ExCuSe me Olivia you are now hereby my queen I LOVE you?? 1. BOOKS 2. Taylor Swift (yas) 3. original tag by YOU 4. that tag name *fangirls* I must say excuse me but you have made my month?? I don’t even know why I’m using this much question marks but I am screaming?? I CAN’T STOP SMILING. Okay, moving on to Taylor Swift… YES. I’m not sure if this is an unpopular opinion, but I feel like I enjoy listening to her “old” music more than the new ones if I were to compare them. The songs from those old albums are so nostalgic *cries* If you can narrow all her songs down to one, which one is your favourite? Anyways, LOVE this tag so much, this is a ridiculously long comment but I need to tell you all of my thoughts (which are long), and just… this. will. go. viral. Hi, hello, YOU ARE MY QUEEN👑 Aww thank you so much, you literally are so kind and sweet and I love you! This comment made my heart so happy I can’t even explain it. I was surprised I didn’t like it too! I just don’t like the way the characters were portrayed, I felt as if they didn’t do them justice (smol Harry would be the best dad ever!!) but maybe that’s just me. XD Ahhh, Anne of Green Gables! I have watched the first season, though I haven’t watched the second yet. I really liked it, though! I feel like that is in fact a popular Taylor Swift opinion?? At least with my irl friends, I know that most of them prefer her old music to her new albums. (And I can entirely respect that view. 😉 ) ONE favorite…oh my…THAT IS SO HARD. I think maybe All Too Well. Lol, same! Oh my gosh, YES, BEGIN AGAIN IS ONE OF MY ALL TIME FAVORITES.😭Every time I listen to it I want to cry but in the best way. You’ve just reminded me of my love for it and now I must go listen to it on repeat! Omg, yes, I agree, the choreo for Delicate was AMAZING, I loved seeing Taylor just being herself. I love this tag!! Look for my post later today. I love Taylor Swift. I love Harry Potter! So many loves!!!! I think my favorite of hers is “Mine.” I felt such a connection with it the first time I heard it. I loved it so much, I decided to memorize it and serenade my now-husband during our rehearsal dinner! Thank you so much! Ahh, I’ll definitely go check out your post now.💛That’s the sweetest story ever, I love the song Mine!